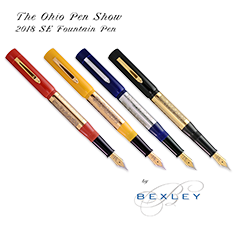 The Ohio Pen Show may have ended but there are still a few of these rare beauties available for those who could not attend the show. 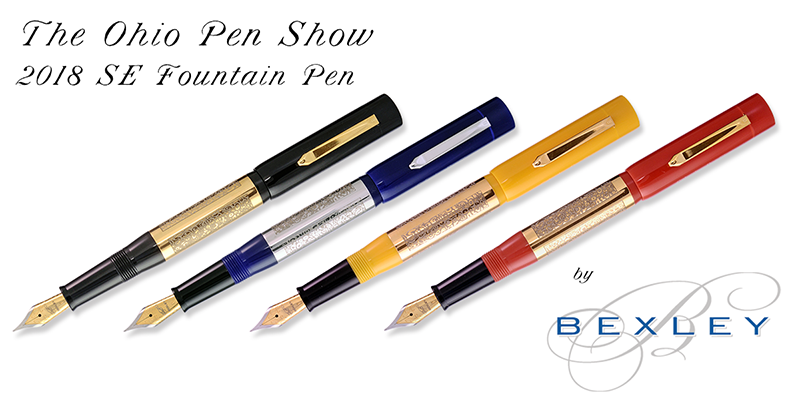 These expertly crafted pens sport a hand-made sterling silver overlay that has been plated in either gold or rhodium. The overlays are then etched in a vintage pen inspired ornamental pattern which will develop a vintage patina over time. Only a very small number of these were made so don’t miss out on the chance to own one of these beautiful special edition pens. 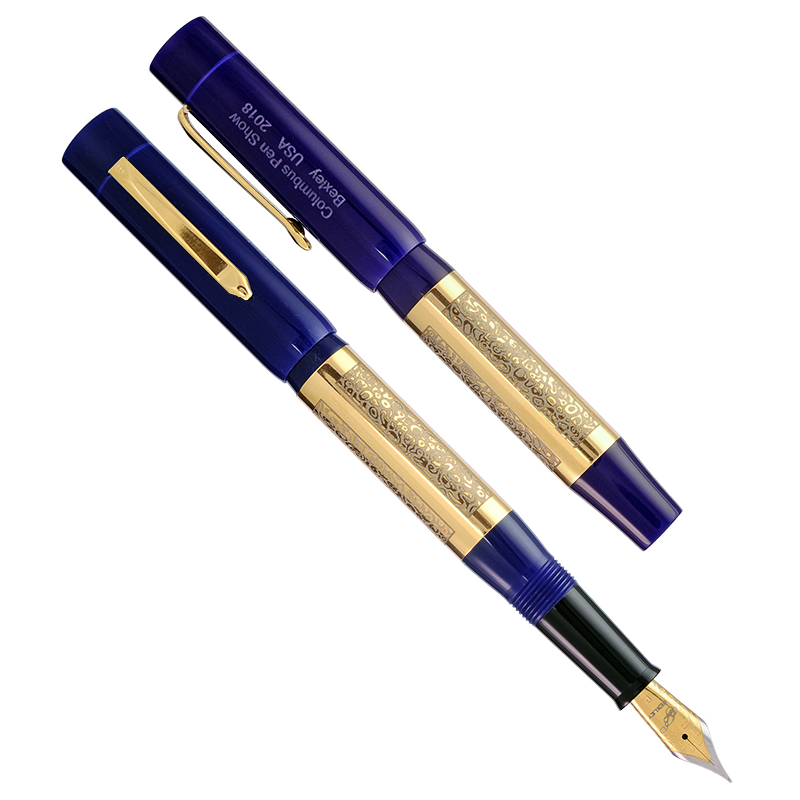 There is only one blue pen left, it is a one of a kind with gold trim. A breeze to fill from your favorite bottled ink with supplied converter or with your favorite cartridge. Flex nibs are crafted from unbranded 14K nibs.